Fish were cooking themselves and went ready on the table. Bone fish and cut. Clean and cut tomato, eliminating pulp and seeds. 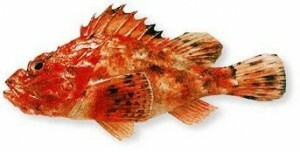 Cook Paccheri pasta in water without salt and in the meantime half-cook in a pot the Scorpion fish. 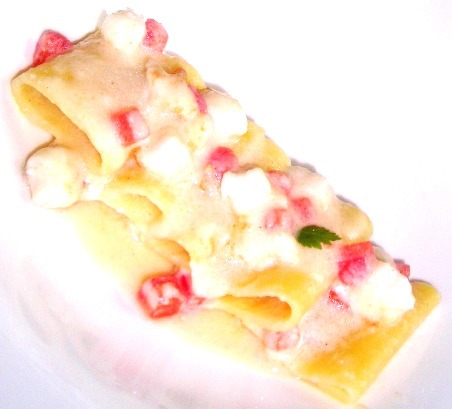 When pasta has been cooked, drain it and add Pecorino and Parmigiano cheese. Then add Scorpion fish, diced tomato and white pepper.